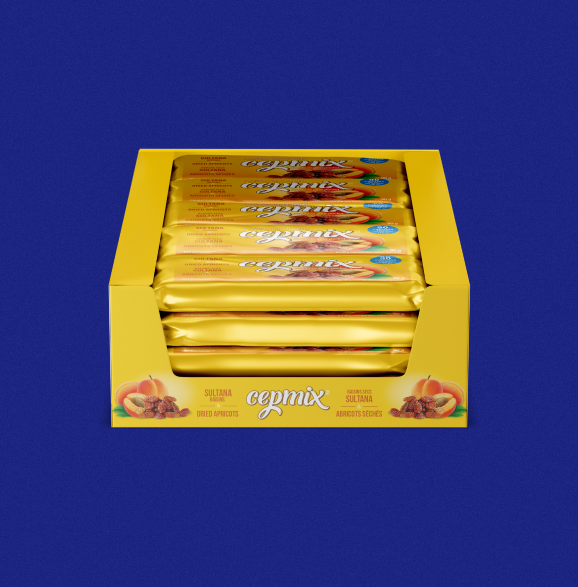 For over 30 years, Maxwell Foods has been sourcing the highest quality fruit and nut products globally. Across their range of products they produce trustworthy products and solutions for both retail and wholesale clients. New to the Canadian market, Maxwell Foods is bringing their premium, globally sourced food as a quality solution for health eating. 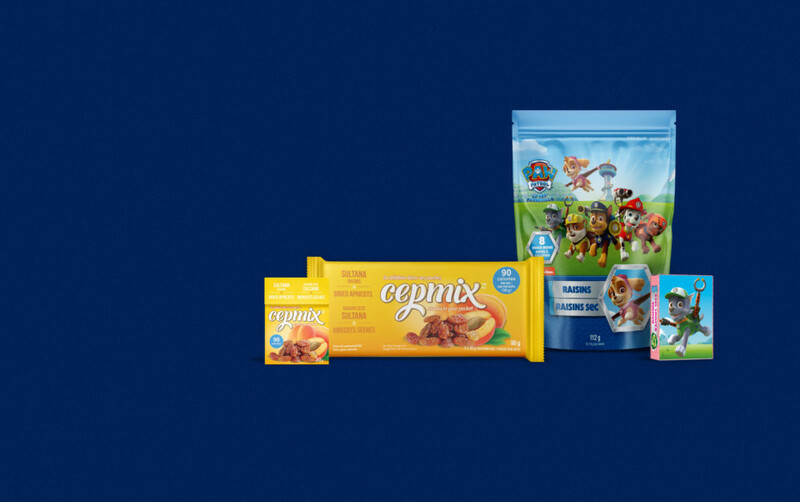 Maxwell Foods has two products lines new for Canadian distribution. 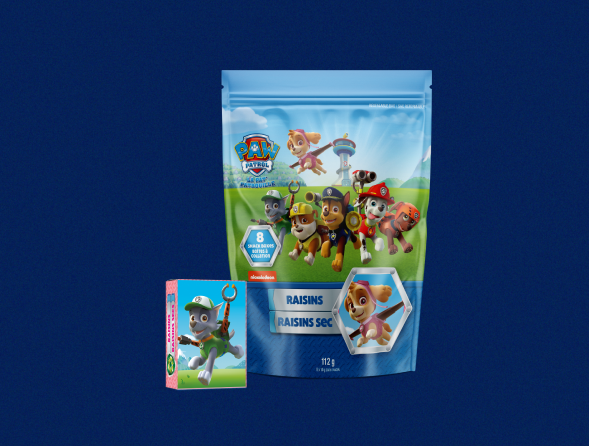 Already successful in the UK and European markets, Paw Patrol Raisins and Cepmix are new snack solutions for those looking for healthy, quick options for on-the-go eating. 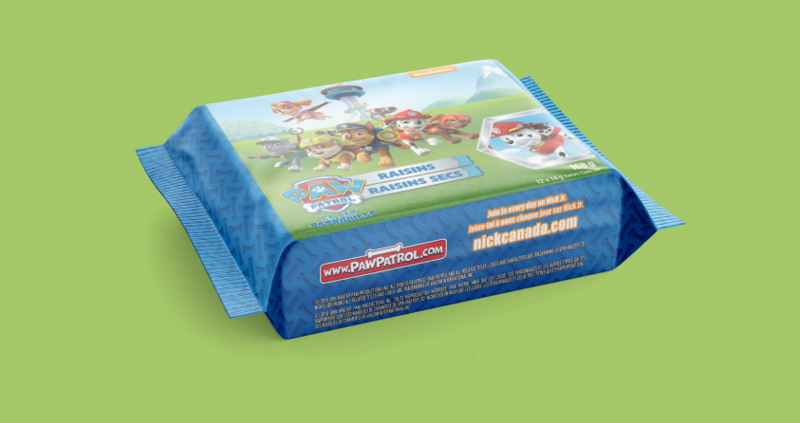 With a desire to build on the brand recognition already established, Maxwell Foods needed the packaging updated to meet Canadian regulations and appeal to consumers in this new market. With tight timelines to secure retailers and shipping lead time, Studio Locale worked quickly to adapt both packages. 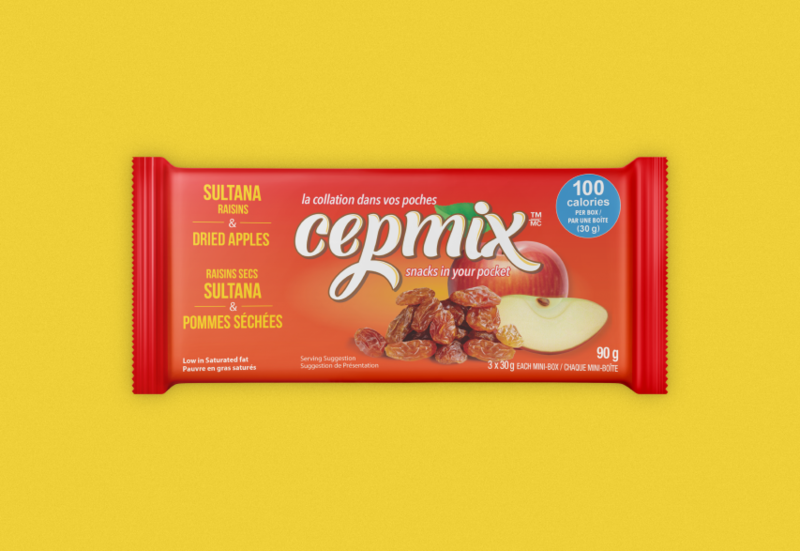 Adding in French, Canadian nutritional information, along with colour and image updates, the new updated packaging was ready to appeal retailers and consumers alike.